After kicking off their 2017 campaign with a hard earned win in Guelph the Toronto Dingos make their return to Humber College South (map) this Saturday June 10th at 4 PM against the Broadview Hawks. The Rebels have handed the Hawks a 42-pt loss at Humber South on Saturday. The Hawks went into quarter time with a slim one-goal lead, but that was soon eroded as the Rebels piled on 4.2 to 1.0 in the second quarter. The Hawks were still in it at three-quarter time trailing by 22-points, but another 4.2 to 1.0 sealed the win for the Rebels. The Hawks’ Twin Towers in Dullard and Shuttleworth were kept in check, but small forward Nathan Cragg stepped up with three majors. Hawks pair Luke Bell and Scott Emberley got plenty of it. For the Rebels, Robert Tersigni booted 3 goals and Kevin Duffy 2, while Josh Hegarty stood firm across halfback. 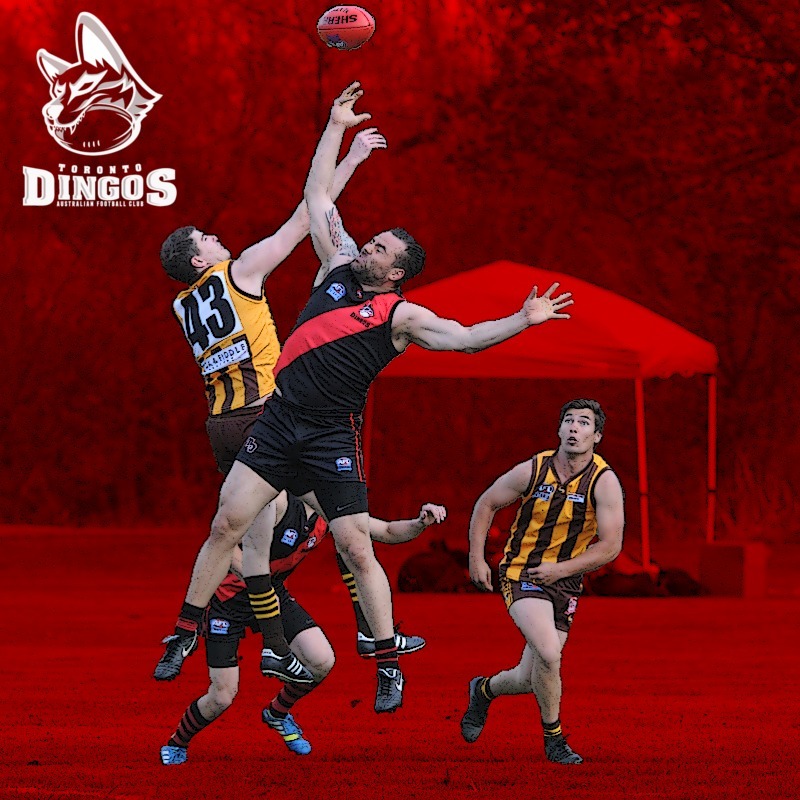 The Hawks will no doubt be looking to bounce back this week, and the Dingos will not be taking anything for granted as they look to further establish themselves early in the season. Should be a cracking game to round out Saturday's AFL Ontario Round 3 action. For further information on schedules, locations, and results of this and other games, refer to the AFL Ontario Round 3 Schedule.